We are ready to attend a new Web Summit edition and we know it will be amazing. Although we already know we surely be missing a speech we wanted to attend, we won’t be able to meet that person we would like to meet or do everything we planned. But believe me it’s impossible! 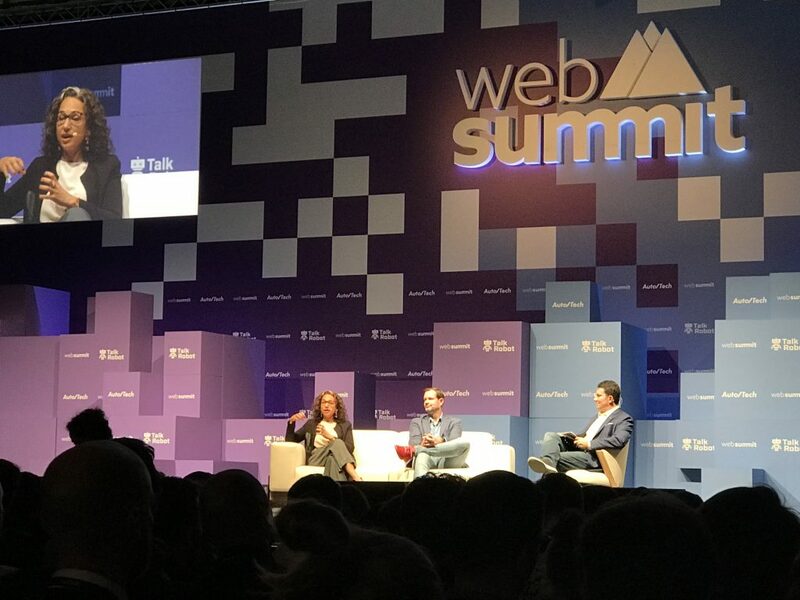 Web Summit addresses so many topics and anyone can find valuable contents. And year after year it becomes bigger. Why attending? Because -as we often say to people asking about the event- here you can be inspired by future, here you can see the new trends on the rise. As an example VR/AR, cryptocurrencies, IOT and smart cities, we heard of them three years ago when no one spotted these subject before! Find below a full report of the talks I loved most as well as what I call my “super talk” of the day, that is the one I was expecting to hear and that helped me to solve a problem or take a new perspective on a subject! 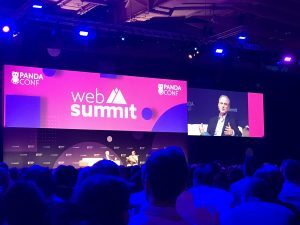 The first talk in our schedule today is from Stephen Kaufer, CEO of TripAdvisor at PandaConf stage. What is the future of trip planning? 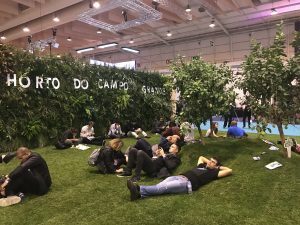 Trip Advisor definitely changed the habits of travelers and their entire travel experience as well, since it is focused on the knowledge shared by people with the community. Anyone in the discovery stage while planning a trip first thing searches for information online. That’s why TripAdvisor is fully involved in fighting fake reviews or reviews made for revenge. Kaufer believes that it is something to be jailed for. The way to fight the problem is to advise people to search safety in numbers and trust to be build also by hotels themselves. As a consequence the traditional star rating system needs to be reviewed and probably replaced by the reviews made by customers. TripAdvisor is not competing on social media as it creates content that is here to stay for a long time, while on the social sites it rapidly fades away. And what about the emerging trends? Short term travels and weekend gateway are growing sharply, so that TripAdvisor is developing solutions for requests happening the day before and also the same day of booking. Which is the best innovation in travel? No doubt is machine learning that allows to implement recommendations correlations and to create an itinerary guide that is specific for that trip. As you do not experience a hotel, but a destination, personalization through Machine Learning is crucial, to tailor a trip that is the best “for you“. Interesting talk by David Rusenko (Weebly), Holly Liu (Y Combinator) and Google (Jacob Greenshpan). UX deals with behaviours and emotions arising from the interaction between humans and UIs. Thus designers need to focus less on the features and more on the emotions, on the way people feel why approaching a site, an application. It’s even most relevant when we talk about mobile devices, as people can use them everywhere, even in the bathroom! They use their phone in one hand while doing other things, so when projecting this point must be fully taken into account. The temporal segmentation in usage is another point: users’ attention is split in short, fragmented time periods. Information must be carefully displayed on screens as it is demonstrated that users do not read! We can easily understand that a big mistake is to separate UX form all the other team and departments: UX should be infused into all the teams. 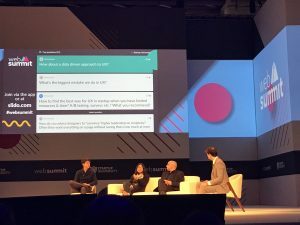 We appreciated the opportunity to send in real time questions to the speakers on the stage using slido.com, a platform to deliver quick surveys and polls. Couldn’t we take advantage of it? Absolutely yes! We send our question obviously about data-driven approach to UX. Good to see that the subject was interesting for the attendees as our questions was the most voted. They all agreed that a usability good practice is to create assumptions to be verified by data. Tie metrics with the conversion funnel is a must, in order to monitor particularly the drop offs. It is at Startup University stage that I found my “super talk” of the day. 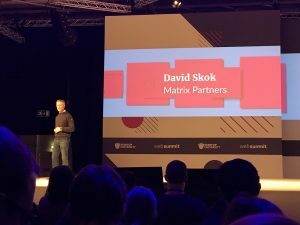 David Skok (Matrix Partners) broke down the 9 stages each startup should go through and provided an insightful playbook for each of them. He advised the entrepreneurs that growth is a process that happens during time – and it is not predictable how long it takes. Skipping even one of the 9 steps is a mistake that could be fatal. After defining a product/service and a market fit, startups should search for a repeatable, scalable and profitable growth model and focus on it aligning all departments. That’s usually the missing step. A common mistake is cash burn: cash must be conserved until the business scaling phase. So plan carefully your budget and convey the spending only for things that really worth it! A second common mistake is about sales. Sales motion is a pain point as usually startups think that to develop a business is enough to hire a huge number of sales people. Wrong! David explained that first of all an Ideal Customer Profile must be defined and targeted. The third point is recruitment. 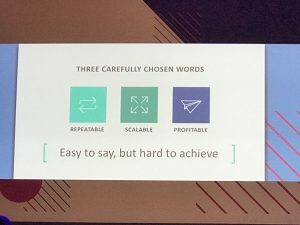 Sales people should be trailblazers/pathfinders, completely aligned to the business model and able to apply and evolve the playbook in each stage. So it’s crucial to build an in-house recruiting machine. Only after it has been proved that ordinary sales reps can sell assuring the customer satisfaction the founder must step behind and take a different role. Thanks David, a lot to learn from you talk. It was a pity that time ran off..I would have heard from you for hours!! !